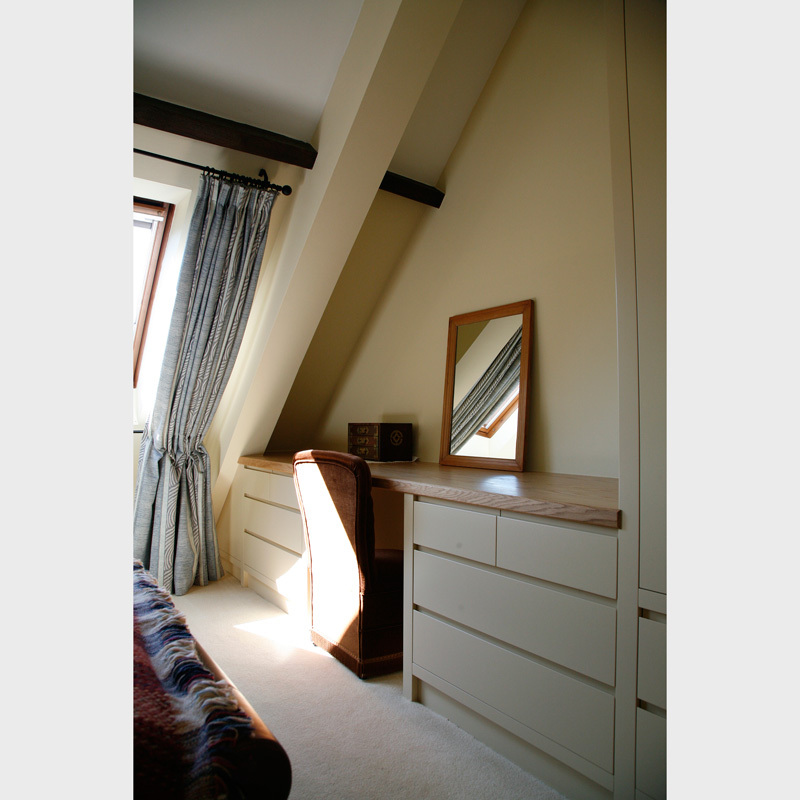 Description: The clients’ house was an old barn conversion, so hence had lots of beams and steep angled ceilings, creating tricky spaces to use. 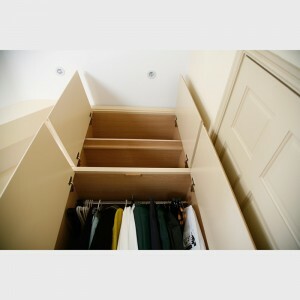 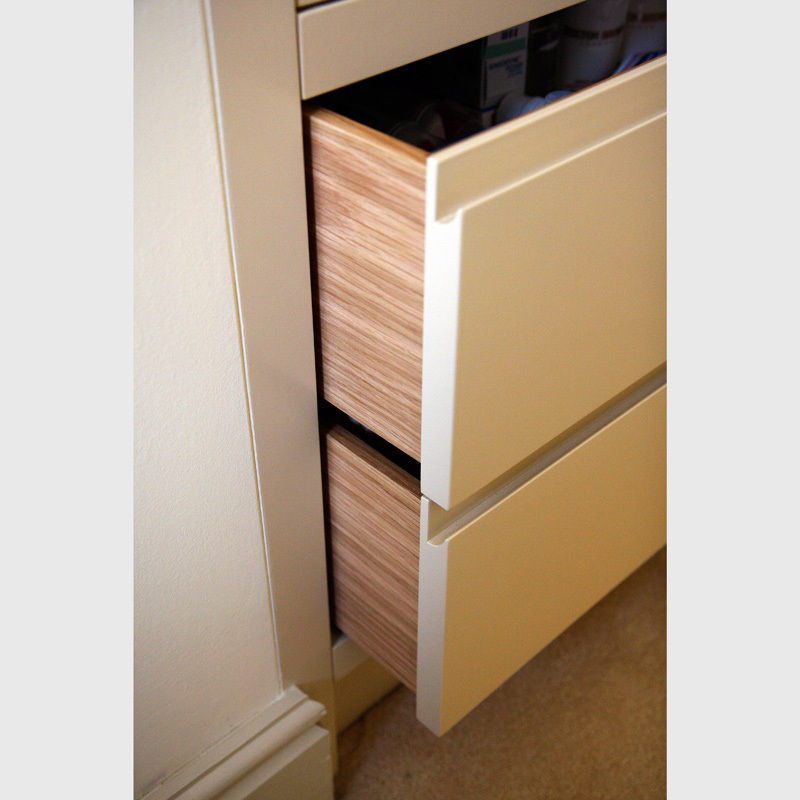 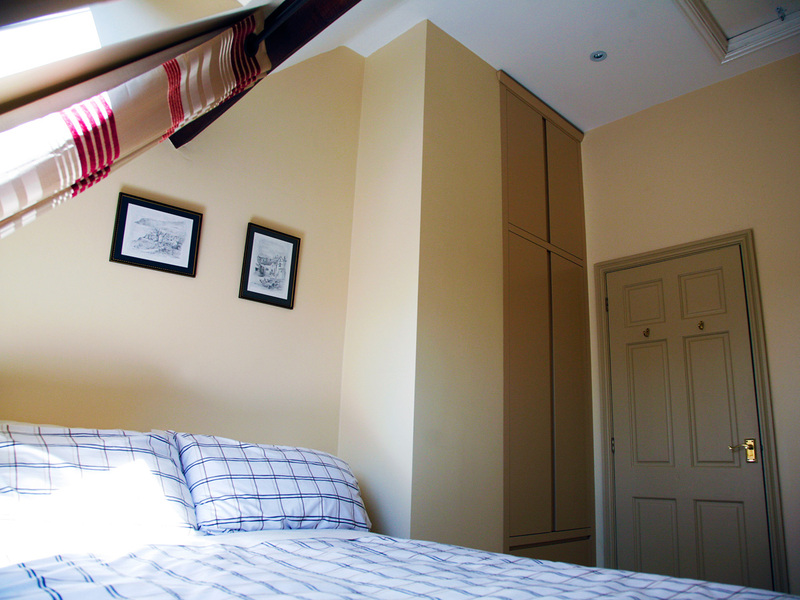 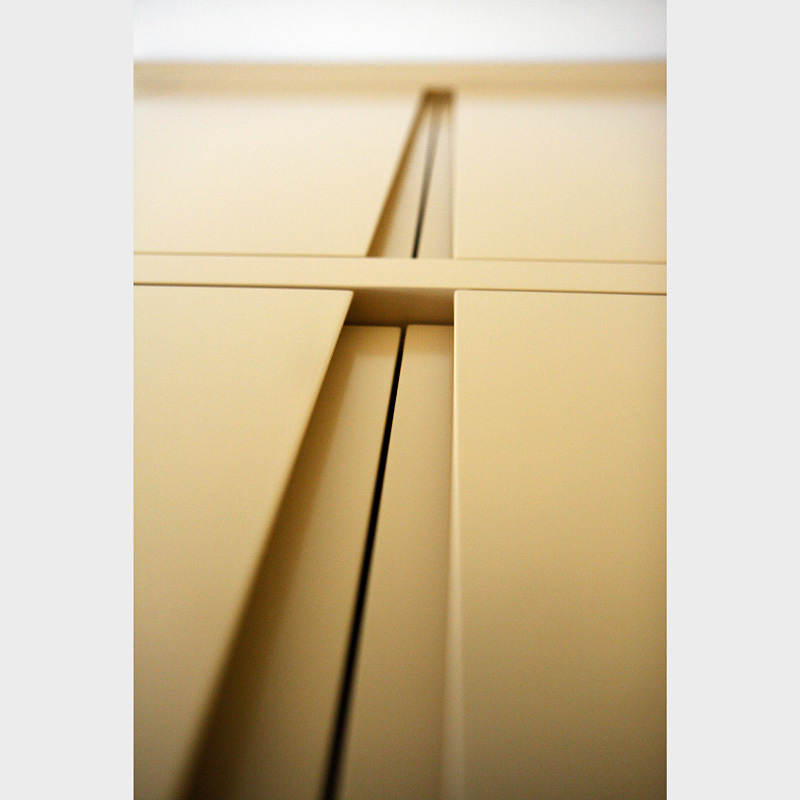 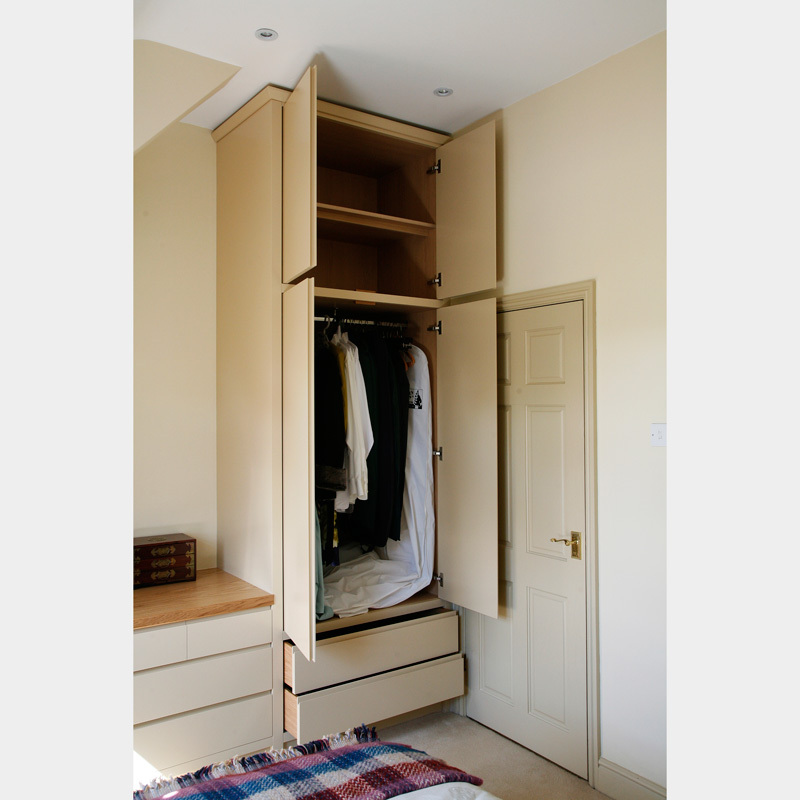 We designed, made and fitted bedroom wardrobes to fit these difficult spaces, and at the same time maximising storage capability. Materials: European Oak desk top with a lacquered, hard wearing finish. The cabinetry featured oak drawer boxes, and was sprayed in Farrow and Ball colours.